Mike: My name is Mike Scott-Harding. I am writer, composer and lyricist of ‘Pattie-Shop Diaries’, an original, contemporary musical, told from a Black British perspective. B: Where are you from? M: There’s an existentialist question, if ever I’ve heard one! The short answer is, I am the product of Black Jamaican parents, raised by Black Jamaican guardians in South West London. M: What’s new – and hopefully, comfortingly familiar – is ‘Pattie-Shop Diaries’, my original music-theatre piece. It tells the story of an African-Caribbean / British family living above, and running, a food outlet in Brixton, South London, in 2012. Seriously, I’ve tried to imbue the script with humour, empathy and compassion, so that the audience – whoever they may be – shouldn’t feel alienated. The piece has many melodic, literate tunes covering many genres – Jazz, Blues, Reggae, Soca, Soul, Pop, and Hip-Hop – a strong multi-cultural West End cast, and a live band; what’s not to love? B: Why tell this story now? I wrote this piece because of the lack of modern, Black British storylines being told upon the London / UK musical stage. While its great to see more Black British actors playing roles in London musicals, they generally have to speak in American accents to express dialogue set thousands of miles away… and several decades ago! We – in Britain – have a whole diaspora worth of stories to share and compare . . . so I decided to get on and tell a few myself. B: What do you have to say that needs to be heard? 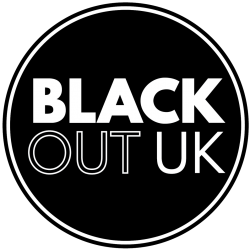 M: I believe that Black British men (and women) need to tell – and share – our truths as often as possible in order to support each other, and to normalise our existence within a society that is often hostile towards us. One of the issues I found growing up within a Black-British household, was an atmosphere of secrecy and ‘selective sharing’. I realised that I was living within a network of secrets and lies, based on somebody else’s shame and guilt. As I got older, I began to make this mental tapestry part of my own story. As I got older, I also began to make more connections in my own mind and with others. Connections that helped me realise that, what was true for me, holds especially true for many Black gay men, as we – quite often – have to internalise and compartmentalise important aspects of ourselves. With more and more Black gay men (younger and older) choosing to express their sexuality in secrecy and / or intimate isolation, it seems to me that the best antidote to this epidemic of ‘solitary confinement’ is to come together, to share – and to validate – our truths; theatre is such a place. B: What have you learned through creating Pattie-Shop Diaries? Most of all, I had to learn how to keep my hunger and desire, in order to keep going with it . . . sometimes in the absence of evidence to support my faith. B: Any tips for our readers considering theatre-making to tell their stories? B: How can people see the play? M: We’re at the really exciting point of staging performances that are designed to get producers, venues, and investors to come and help put ‘Pattie-Shop Diaries’ into a full production or tour. If you know anyone who may be interested – or if you fit that description yourself – please get involved. There are two opportunities coming up. The first takes place at The Other Palace Theatre, 12 Palace Street, Victoria, SW1E 5JA at 2pm on May 4th 2018. Then at ‘Empire 2’, 117 Wilton Way, London E8 1BH (behind Hackney Empire) at 2pm on May 5th 2018.